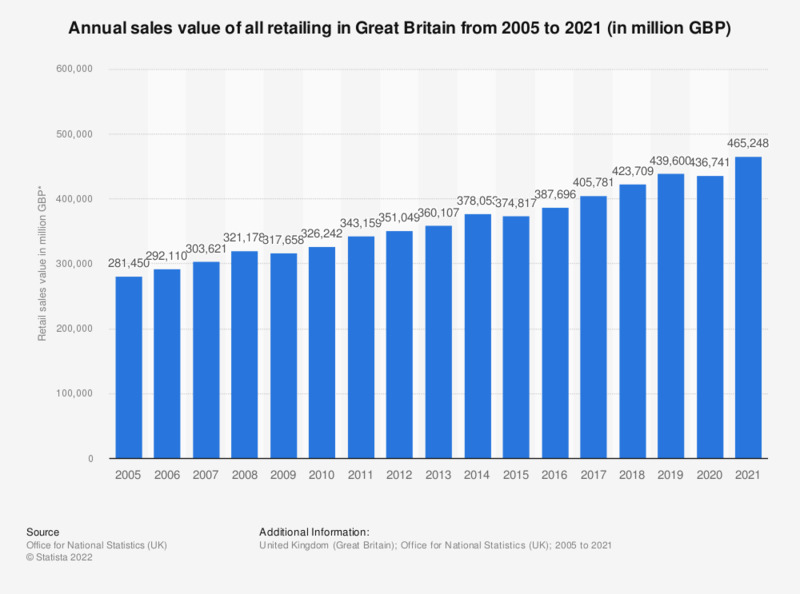 This statistic shows the total value of all retail sales (including automotive fuel) in Great Britain, from 2005 to 2017. Over this period there has been a general growth in the value of the sector. In 2017, 406 billion British pounds were spent in the retail industry, compared to 281.5 billion in 2005. * Figures are value sales (amount spent), non-seasonally adjusted. Sales include automotive fuel. Figures have been rounded.